After finishing runner-up at her previous audition, Kaylet Torrez, the newest member of Pacific Symphony, knew she had to win the next one. It had become her dream ever since her move to Los Angeles. With renewed focused on her practice regime, she was able to get through six intense rounds of challenging orchestral excerpts and she was hired in November as the Symphony’s Assistant Principal French horn. She realized that now with Pacific Symphony she can continue developing her skills as a musician, something she had always had the passion for while starting off as a young musician. “I want to get better at the horn, I want to be the best that I can for the orchestra. I want to do my best, that’s my main goal,” she said on a recent weekday afternoon, sitting in a coffee shop in her Los Angeles school. While growing up in Caracas, Venezuela, Torrez began her music career in the acclaimed music education program, El Sistema (“The System”). Coming from a musical family with a sister who also played the French horn, she said music has always been the center of her life. She even remembers reading musical notation before anything else. Born in 1990, Torrez said she originally started on the trumpet. However, she changed instruments at age 7 due to her teacher’s criticism. Only her classmates knew about the switch. Torrez kept it quiet from her mother until the two of them went to an audition three weeks later. Because of the French horn, Torrez was able to participate in El Sistema for ten years with the Simón Bolívar Symphony Orchestra of Venezuela under the direction of Gustavo Dudamel. With the orchestra, Torrez went on several tours around the world, starting when she was only ten years old. Though she said she was living her dream with the Simón Bolívar Symphony, she began to feel unsafe in her home country with the escalating political unrest. She made the decision to move to Colombia after winning the principal French horn position in the National Symphony Orchestra there. She stayed with the National Symphony Orchestra of Colombia only for one year, ultimately wanting to continue her growth as a musician. She sent emails to conductors and teachers that she knew. 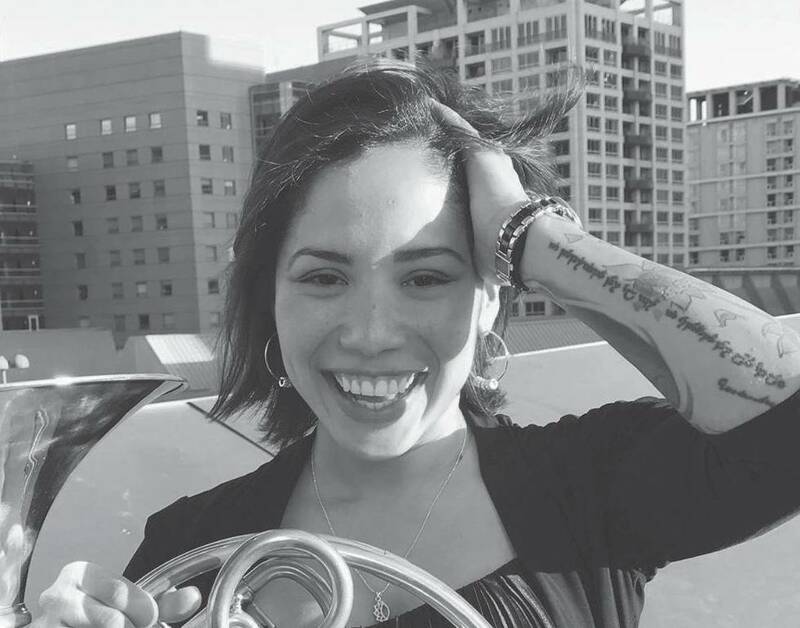 Eventually, in 2015, Andrew Bain, Torrez’s current French horn teacher at the Colburn School, handed her a spot at the institution, where she is currently studying to receive her Artist Diploma. Between classes, exams and practicing for both Pacific Symphony and Colburn, Torrez, like any other student attending school and working, finds it difficult to manage her time. But for her she said it’s possible because of her strong desire to perform with Pacific Symphony. Regardless of the volumes of experience she had with not only the Simón Bolívar Symphony but also the recent ones while touring with the YOA Orchestra of the Americas in 2016 and the Pacific Music Festival in 2017, the professional atmosphere Pacific Symphony provides for a younger musician, is what Torrez values most in her current position. This entry was posted in classical music, feature and tagged El Sistema, French horn, Gustavo Dudamel, Kaylet Torrez by pacificsymphony. Bookmark the permalink.